Extendable trailer and telescopic trailer for sale from China SinoTrailers (HugeIron), which are widely used for long cargo transport, especially for wind mill parts logistic, such as wind blade, wind tower section and turbine. Stretchable telescopic beam could be 2 or 3 parts. Total length can reach up to 60 meters. Mechanical axle is adopted in original design of extendable trailer, just like a lowbed trailer added with a telescopic beam to make its length adjustable, so enable the trailer adapts different length cargos. Telescopic beam could be mounted in other semi-trailers, giving you extendable flatbed trailer, extendable drop deck trailer as well as extendable lowboy trailer. Three options of axle: mechanical leaf spring suspension, hydraulic axle suspension and air bag suspension. Hydraulic steering system minimizes turning radius, increases flexibility of whole trailer. When no-load, telescopic beam can be drawn back to shorten total length of the trailer. Extendable telescopic beam/boom protects wind turbine rotor blade from any damages or distortions during logistic, it just performed like bracket holder of the rotor blade. Please go blade trailer If need to know more info. 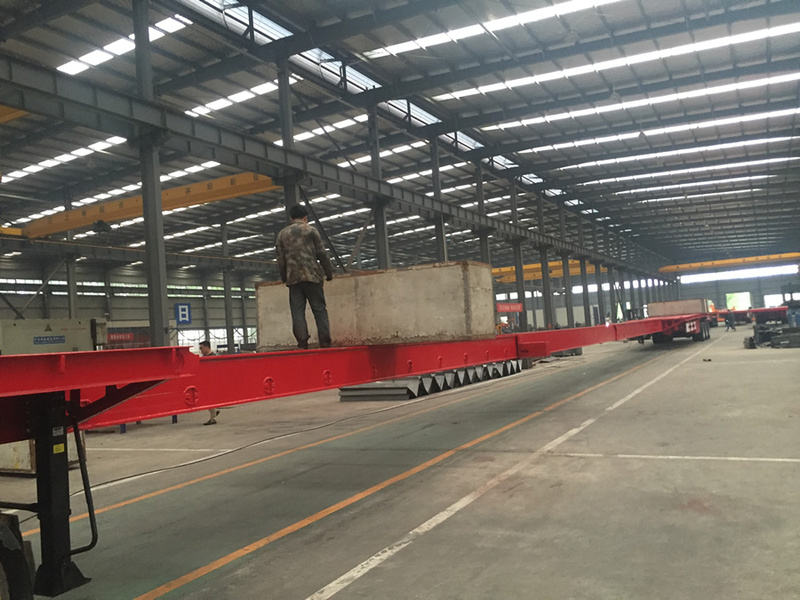 As a manufacturer, we also produce strong version of extendable telescopic beam, which is designed to combine Goldhofer trailer hydraulic trailer, and the beam also can be used to connect other specialized trailers like Scheuerle trailer and Nicolas trailer. The beam has function of connection between gooseneck and rear axles, also can bear weight on top of it. 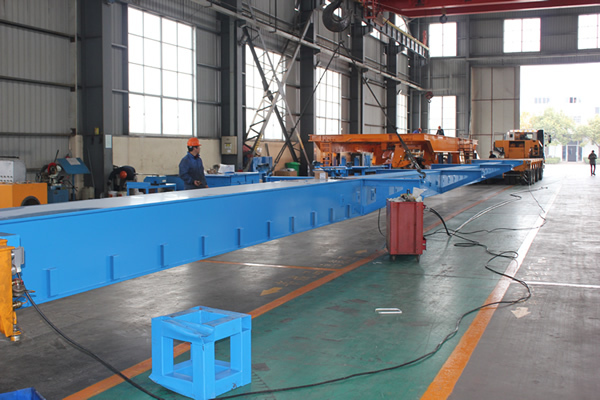 The telescopic beam can be extended (stretched out) from 10 meters to 30 meters, other customized dimensions are available.